There has been an awful lot of talking and writing about the state of the honeybee, and pollinators in general, over the past few years. With all the information that is out ther it is hard to know what we can do to help on an individual basis. Any small effort is worth the EFFORT! 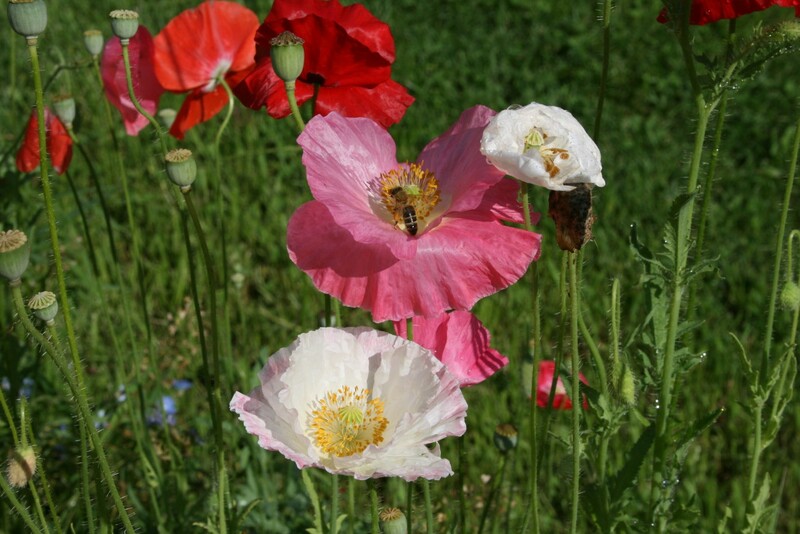 Since we got our first beehive several years ago, we have been paying particular attention to the plants that we already have in our gardens, and to other varieties that will provide food for our bees and attract other pollinators. 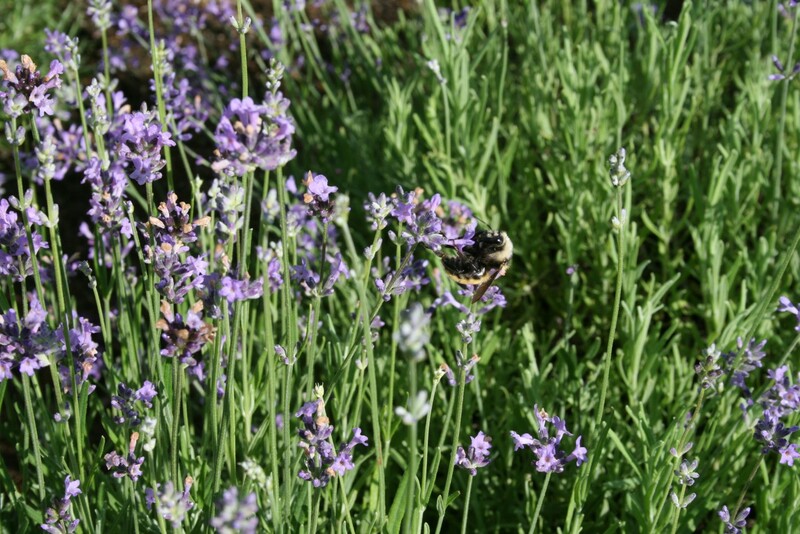 It has been a wonderful journey – learning about bees and how they benefit our ornamental gardens and our vegetable crops. The beauty of it all is that we don’t have to go any further than the edges of our property to see how it all works! On any morning during the spring and summer months we can see our bees leaving their hives and heading out to do their days work and perform a kind of magic that we often take for granted – the magic of pollination. Their hum is constant as they find plants that offer nectar at different times of the day. As they gather the nectar for their food, they also gather and spread the pollen that is necessary for our food and ornamentals to grow and reproduce. 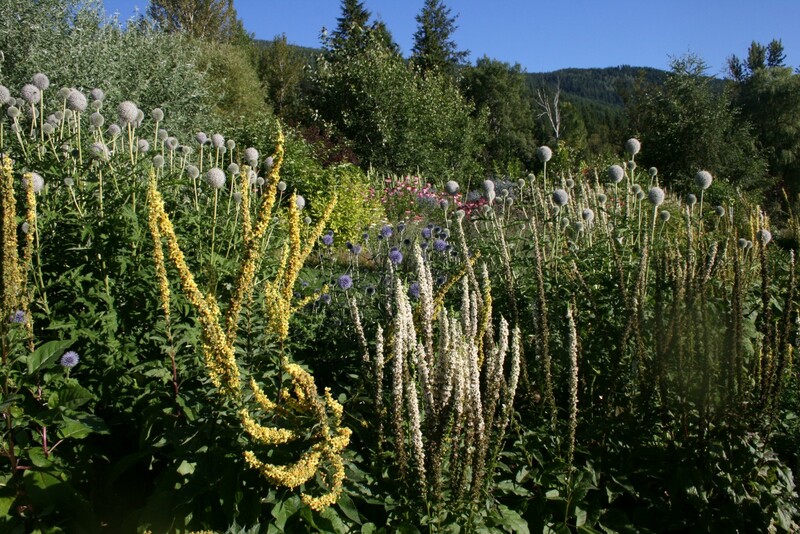 In our gardens, it is the mullein that they enjoy in the morning…later in the day they go after the globe thistles…the clover, fruit trees, berries, vegetables, agastache, lavender, echinacea…and it goes on and on all day long, all season long! 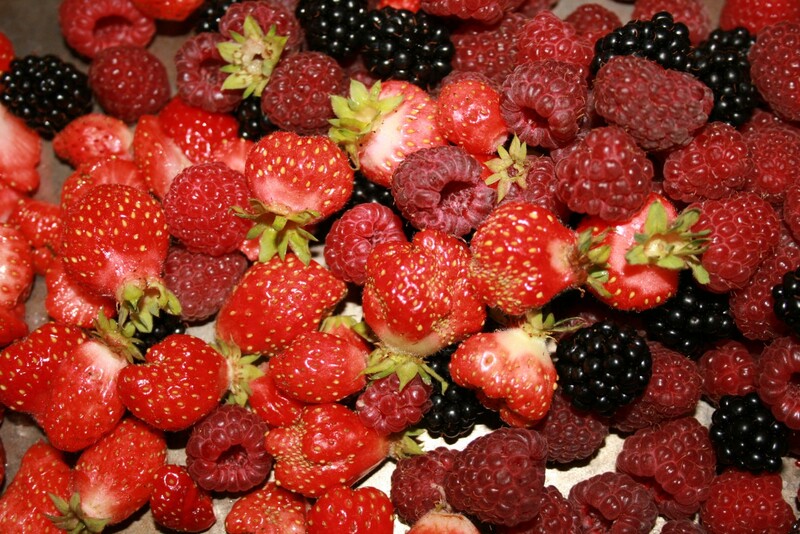 At the end of it all, we have an abundance of beauty and food to enjoy throughout the year. And of course, the honey that results from all the bees hard work is fabulous! Could this BEE the end of the world?